Naslovnica / Otroci ločenih staršev imajo pogostejše težave z duševnim zdravjem! Vedno več je znanstvenih dokazov, da je ločitev huda oblika nesreče in da ima negativne posledice za otroke. Vsak dan na milijone otrok po vsem svetu trpi zaradi tega ker ne živijo skupaj z biološkim očetom in mamo - tudi v Sloveniji. Children of divorced parents who live with a step-mother or father may face greater mental health problems. A new study shows such teenagers are more troubled than those who split their time between both of their parents. They report more symptoms of mental health problems, such as depression and dishonesty, or being bullied at school. Experts have suggested it is better for children from broken homes to have a step-parent, because it offers greater financial stability and another authoritative figure. However, children also face the stress of a 'new family structure', according to Norwegian researchers. They compared more than 7,700 teenagers, who lived with either single parents, step-parents, between their parents in joint custody or with both parents in a traditional family. The results show children living with a stepfather have the worst mental health, although the difference between this and living with a single parent is not significant. Children in a family with a step-parent have significantly more adjustment problems than those in nuclear families and those who spend time living with both parents. The authors, led by Sondre Nilsen, from the Regional Centre for Child and Youth Mental Health and Child Welfare (RKBU) in Bergen, Norway, discuss previous research that children in stepfamilies do worse at school, have greater emotional problems and are at greater risk of depression. Researchers established 16 to 19-year-olds’ mental health with questions including how worried they were, if they were often downhearted or tearful, were bad-tempered, restless or often lied or cheated. A score from this Strengths and Difficulties Questionnaire was compared to their living arrangements. 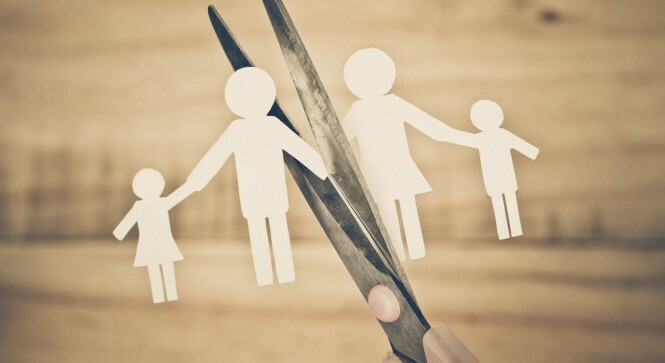 The resulting poor scores for children with stepfamilies suggest that remarriage does not alleviate the negative effects of growing up with a single parent. Around one in 10 families in England and Wales are stepfamilies with at least one child living in the house, but little research has been done on how this set-up affects children. The difference in mental health between children living with stepfathers and stepmothers may be explained by evidence that men may monitor children less and have a generally more uninvolved parenting style. It has been suggested that boys struggle more with a new stepmother, and girls more with a stepfather, but the latest results did not back this up. The study shows that children with step-parents feel better off financially than those with single parents, but this did not appear to reflect on their mental health. Those living with both parents were significantly more well-adjusted than those in stepfamilies, which could be because their parents got along better with this arrangement. Lead author Mrs Nilsen said: ‘As we have measured family structure and levels of mental health problems at the same point in time, we cannot say that it is joint physical custody in itself that leads to the apparent better adjustment in this post-divorce living arrangement (compared to single parent and step-parent arrangements).